SUNY-College of Environmental Science and Forestry (ESF) has an excellent record of preparing its students for the rigors of the work force. However, ESF alumni have become more and more dissatisfied with the fact that their ‘real world’ involves painstakingly spending time outdoors, often in wilderness, surrounded by nature. Because of this, many ESF alum have lost the ability to properly function inside or, if they get a promotion, in an office job. Many say that the skills they took for granted, like typing, water cooler conversations, and attaching documents to e-mails, feel foreign. Jeff Brubach, a graduate from 2012, has come to deeply regret his college decision because of the harsh realities of his career. Jeff has started a support group on Facebook titled “The Great Indoors,” where ESF alumni can share photos of themselves playing video games, smoking hookah in a living room, and using indoor plumbing. He asked that we mention that in this article so that others who find themselves down over a life in forests and fields can find help. With cold weather and loads of homework on the horizon, there’s no better time than now to go on a lonesome, late night campus stroll. But watch out—you might not be alone! Here are the top five coziest spots to get mugged on campus. Thornden Park is infused with over 100 years of coziness history. From its rustic brick walkways and sprawling amphitheater, to the mysterious public pool, it’s more than easy for a lone wanderer to get lost within himself. But coziest of them all is the Rose Garden, located at the park’s southwest corner. 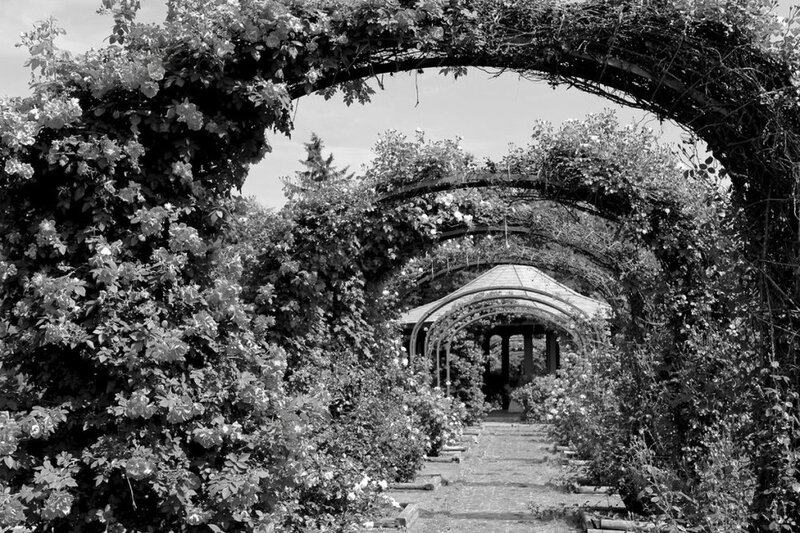 Here, rose vines climb the coziest arbors to ever appear on your ex-girlfriend’s Instagram. Could you think of a cozier spot on the University Hill to call for help with empty pockets as your fresh cuts, bruises, and potentially deep stab wounds seep blood onto that rich, rich soil? Lest we forget the bottom of the hill, where nestled between freshmen dormitory BBB and an ambiguous public housing project is a cozy corner store stocked to the brim with Funions, stale Oreo cookies, discounted cigarettes, and the warm sense of home. We couldn’t think of a cozier place to use your older brother’s ID to buy you and your suite mates PBR. But be careful—that cash register is behind plexiglass for a reason! Don’t let your guard down and remember to keep your hands in the air! This super earthy library is open until 11 on most weeknights, but tread lightly! SUNY- ESF nighttime library dwellers are known to volatile and hungry. They’ll be quick to empty any outsiders’ pockets, and there is no guarantee that they don’t have rabies! From apartment-sized storage container to apartment-sized storage container, this little slice of paradise just south of main campus is perfect for a nice wetland stroll. But if you’re looking for your friend’s 20th birthday rager and get off at the wrong stop, take in a deep breathe of that sweet, southern air, and don’t panic as you circle around building after building, searching for numbers that don’t seem to exist as the battery of your iPhone 5 slowly depletes. Wasn’t it worth that bus ride to be lost in so much coziness? Located just off campus in a mid-20th century Victorian, it could, at first glance, be mistaken for Grammy’s summer cottage in Newport. But don’t be fooled by the welcoming faces of 20-year-old children clad in oversized sweatshirts and cargo shorts. These guys stay on porch duty 24-hours per day just waiting for one lonely pedestrian to flash a sign of weakness so they can rip the lanyard from one pocket and your wallet from the other.